Awakening the source of your true power? It is with an awakened heart that we access the depth of inner fire and energy available to us so that we can step forward to serve humanity in a way that feels authentic to our lives. 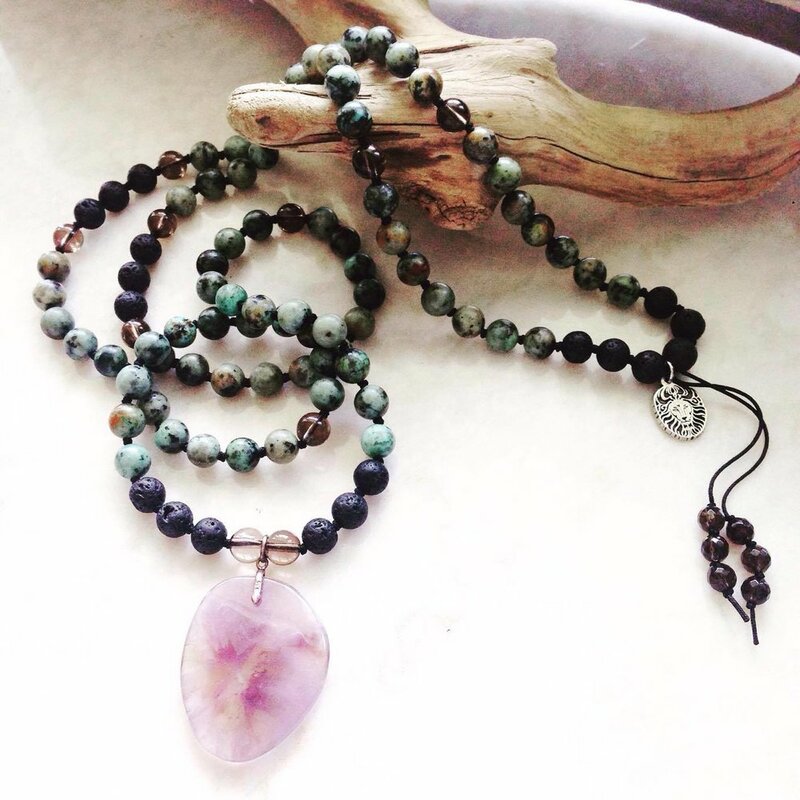 A Custom Mikala Mala is a symbol and talisman to support you during times of self initiation and change as you courageously step into the next evolution of your soul's creative purpose. 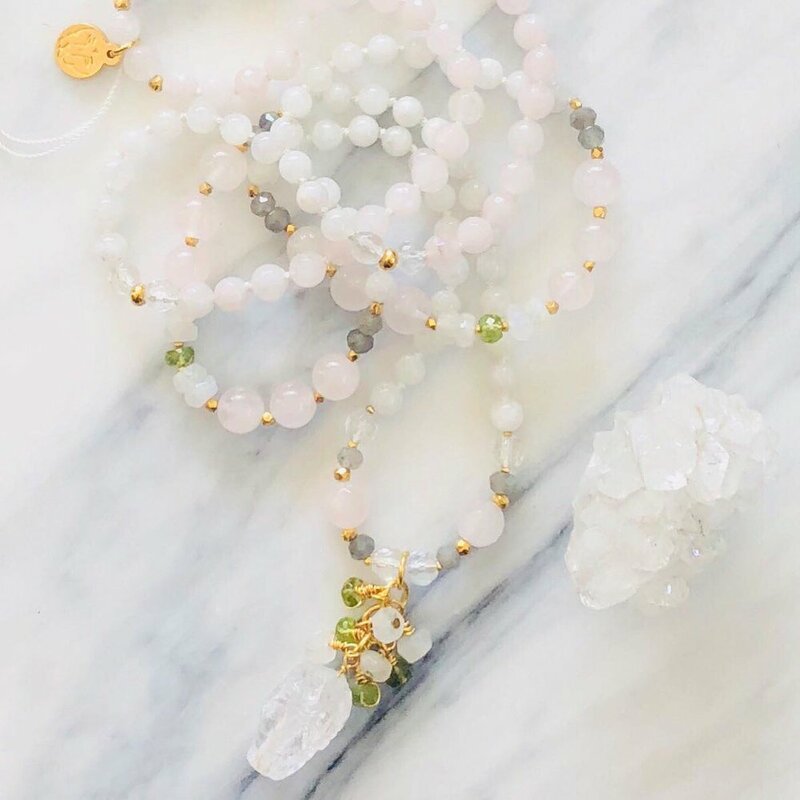 Each mala is handcrafted using genuine gemstones and beads sourced from around the world and from ethical suppliers when available. 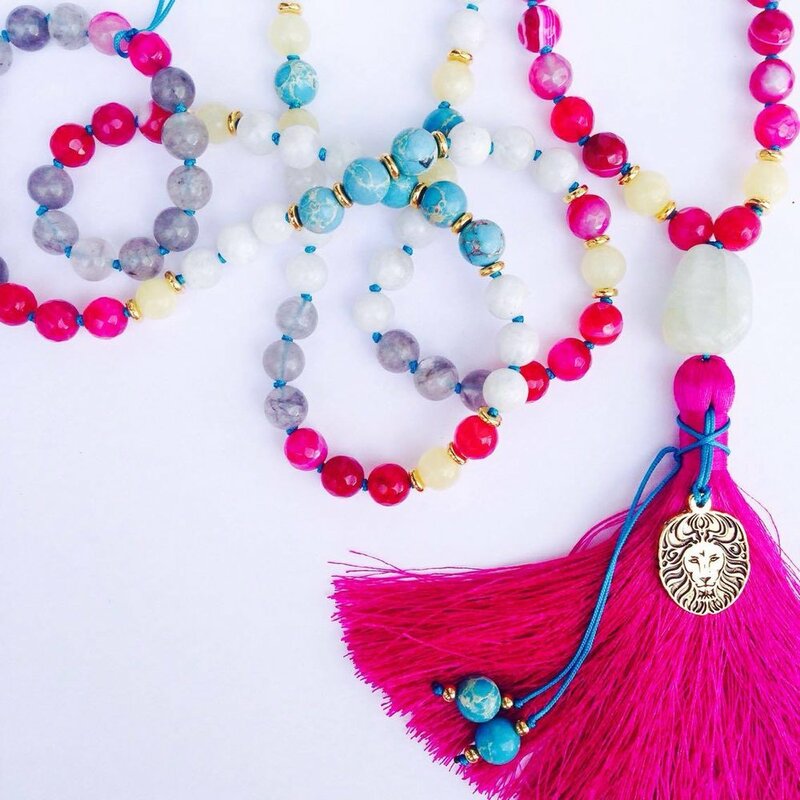 Mikala custom malas are created during the day in sunlight, whenever possible. After your custom beads are chosen, they are cleansed in moonlight and sunlight for several days prior to the creation process. Then, they are strung or hand knotted in a sacred and spirit guided space. The journey & creation process usually takes around 4-5 weeks. Unlimited communication during the creation process. Guidance on the themes and essence that reflects YOU. 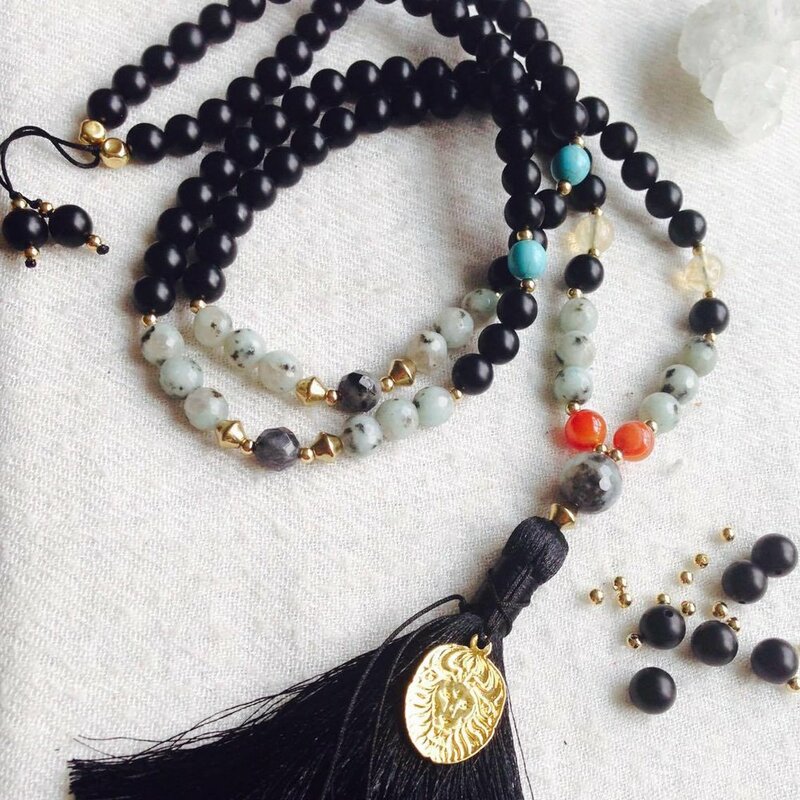 Working to develop my mala with Monica was a beautiful process. 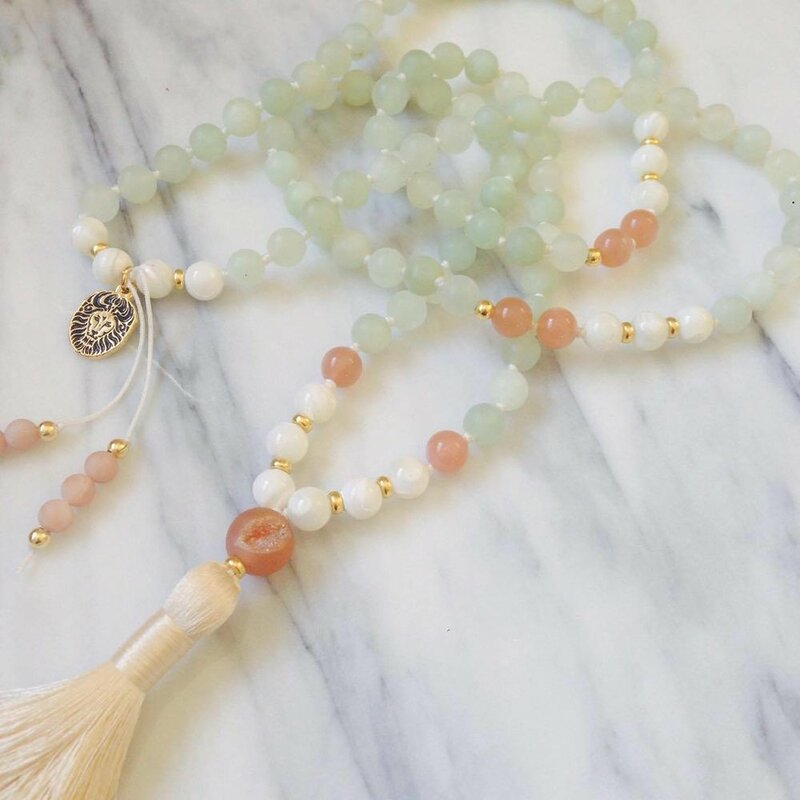 She was inquisitive, asking such insightful questions, helping me further process what I had been discovering within my journey and wanted to symbolize in my mala. She offered me fantastic choices for crystals that not only accurately symbolized my journey and where I’m headed, but surprised me as her interpreting my journey helped me realize how far I truly have come! 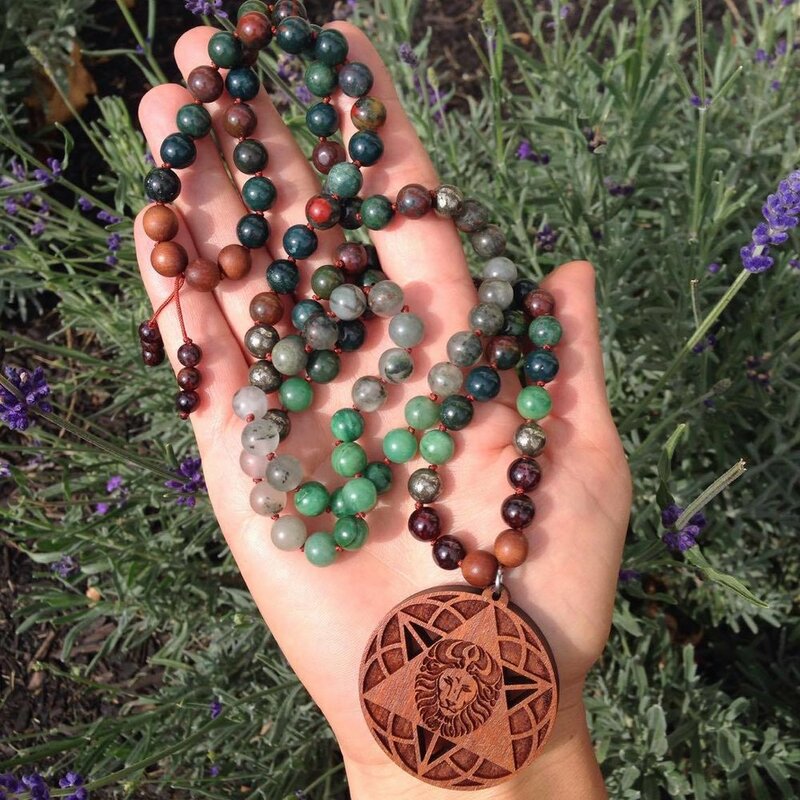 I just received my stunning custom mala and I am blown away by its beauty and also how amazing it feels to wear! Monica was a pure delight to work with - she truly has your best interest at heart and helps guide your vision to create a beautiful work of art. Plus, she is very responsive and communicative during the whole process. Have you joined our pride of wild hearted Lioness? Receive exclusive access to limited edition pieces and collections plus the occasional musing on being Powerful. Because around here, we believe in human connection and celebrating your unique beauty. Your privacy is safe here. Promise.